Given that you’re on this page, you likely spent a good portion of your childhood in the 80s and 90s. 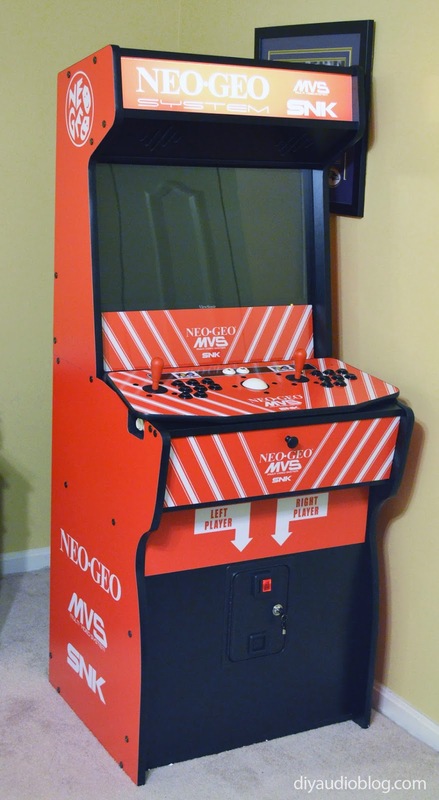 There are few things more nostalgic than a standing arcade cabinet, perhaps running a classic like Galaga, Pac Man, Street Fighter II, or something else from the canon of truly awesome arcade games. 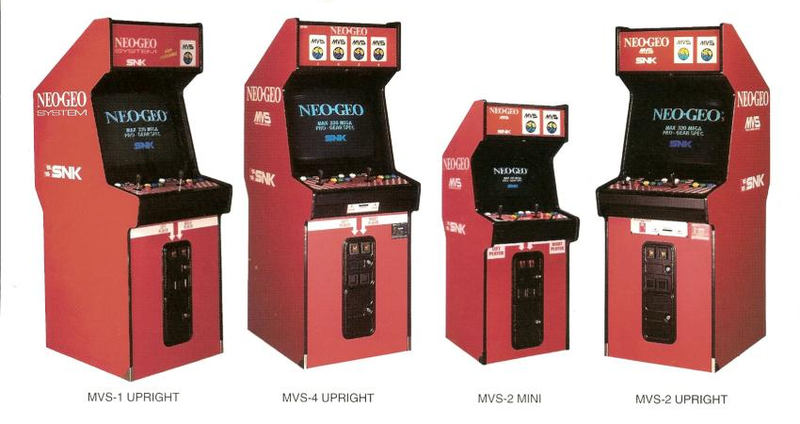 With arcades now being few and far between, you may be reminiscing about “the good old days”. 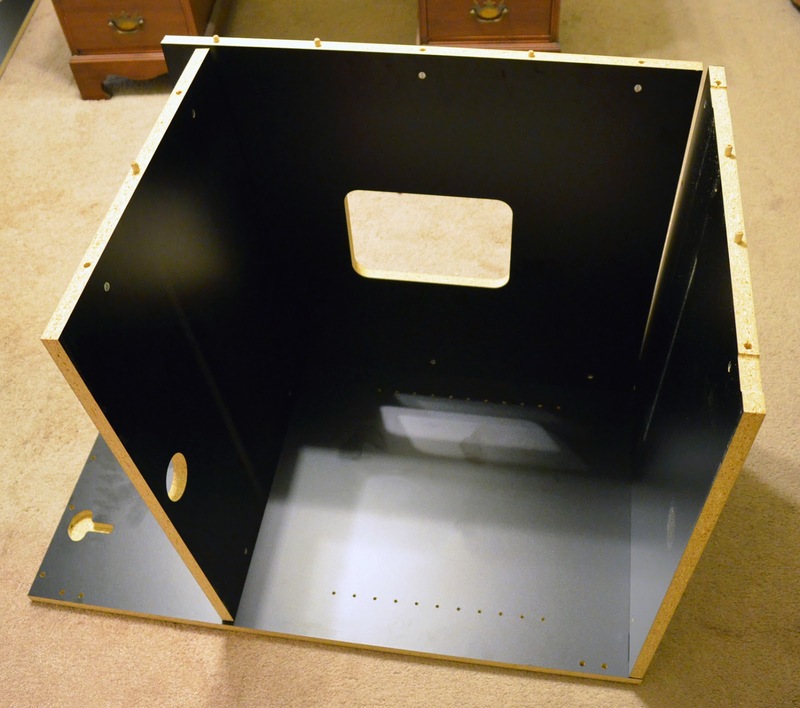 Now you could plan out your own cabinet, however not all of us have the time or the tools necessary to create the panels to assemble an arcade cabinet. 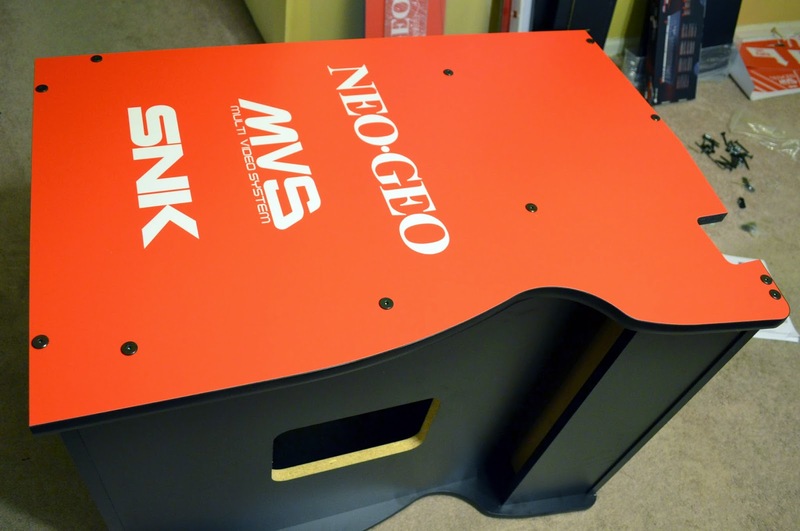 Fortunately, there are few companies out there that will help give you a relatively authentic arcade experience back without breaking the bank. The company that I’d like to single out is RecRoom Masters. This is a small, bustling company that is constantly bringing new products to the market. There is a large range of pricing and cabinet sizes so you can purchase based on your budget and the amount of space you have available. Wayne Scheiner at RecRoom Masters and I exchanged numerous emails so I could get a good feel for the decisions I needed to make so that the product came out the way I wanted. 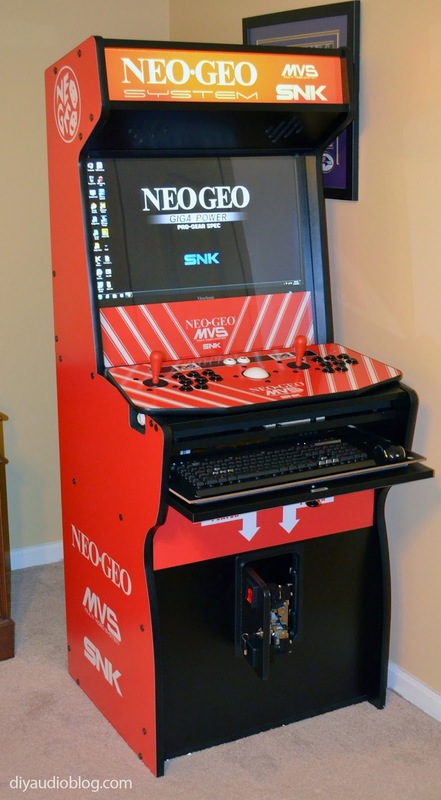 Even though I already settled on the larger Xtension Arcade with the 27” screen, I had to decide if I wanted to light the top, if I wanted a coin door or a cabinet drawer, if I wanted graphics on the sides and over the stick, and if those graphics would be vinyl or a more permanent adhesive. 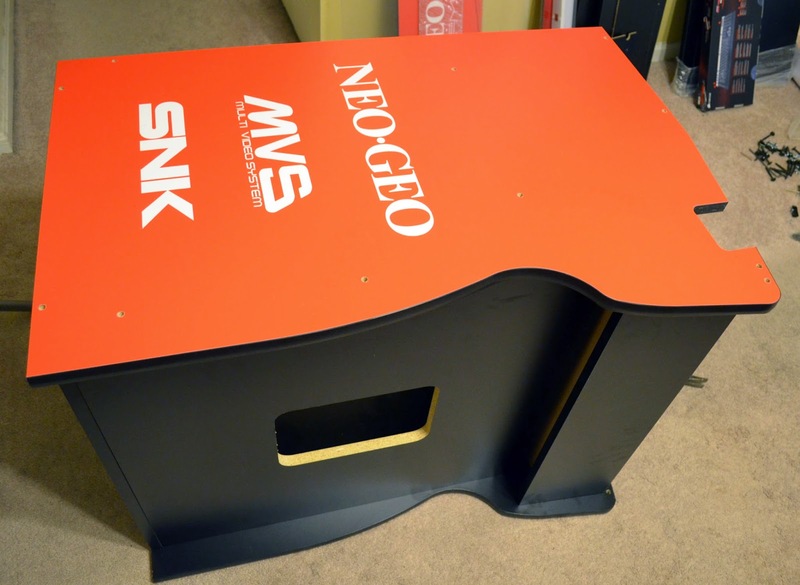 When I was younger, one of the most exciting cabinets to find at an arcade, bowling alley, or restaurant was an SNK Neo Geo Multicade MVS System. 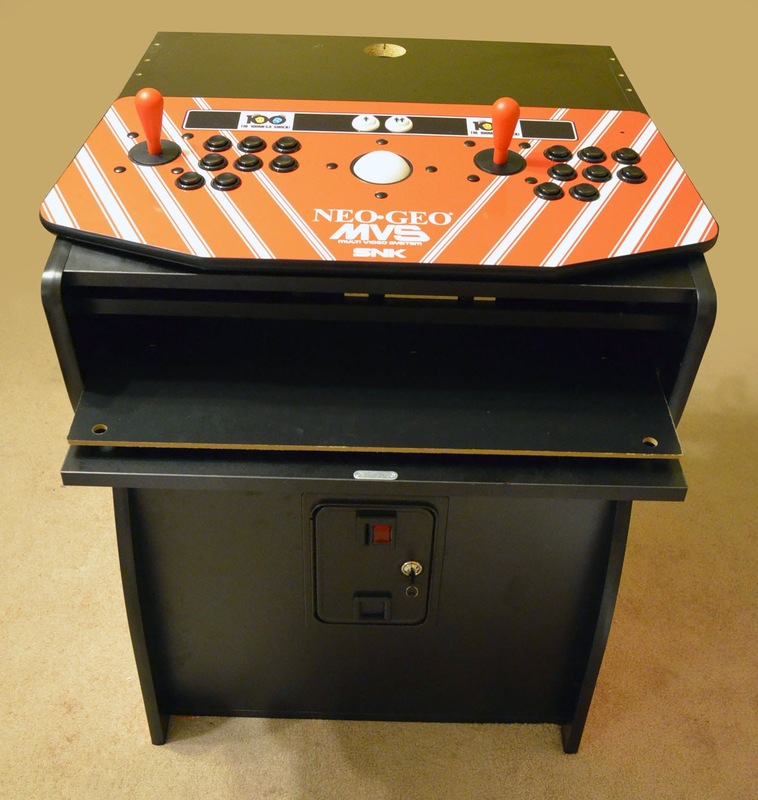 The Multicade would usually be stocked with 2-4 different games like Samurai Shodown, Sengoku or King of Fighters. 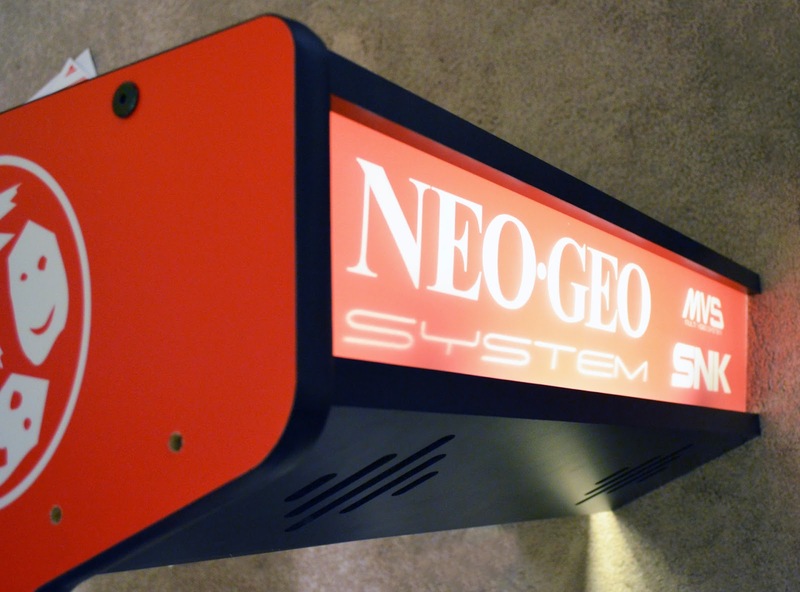 The Neo Geo home system, which was famously expensive when released ($650 for the system and $200+ for each game), was out of the price range of anyone I knew, so the only opportunity to play many of these classic releases was on an MVS System. Now that a couple of decades have passed, the only time I see an MVS is occasionally at a convention. 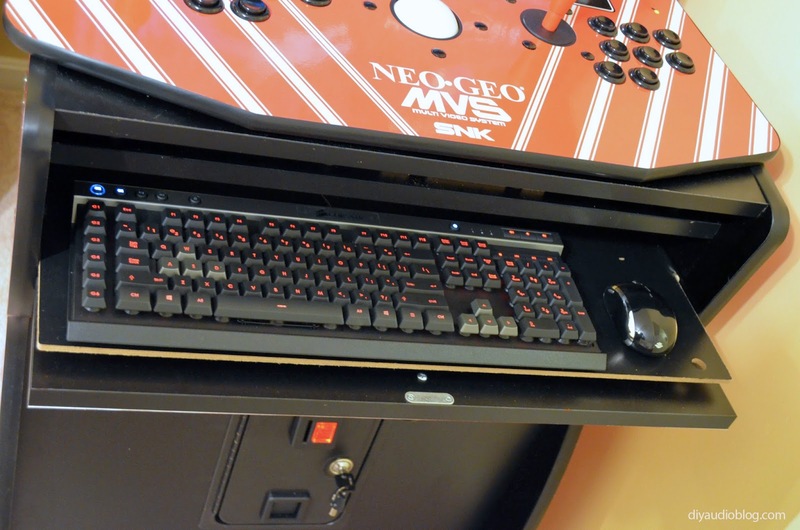 The X-Arcade Tankstick is built like a … well you know. It has a nice heft to it, the finish feels durable, and accessing the interior doesn’t require much effort. 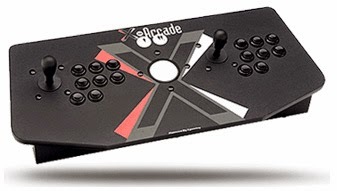 Spending some time reading the reviews online, most people like X-Arcade offerings, but don’t care as much for the included joysticks, which are actual X-Arcade branded units. Many suggested switching over to Happ branded units as they tended to be more responsive. Since purchasing a pair of these would only run about $20, I decided to take the plunge. The HAPP units feature Cherry switches, and are actually easier to install and uninstall because of their smaller girth around the bottom. 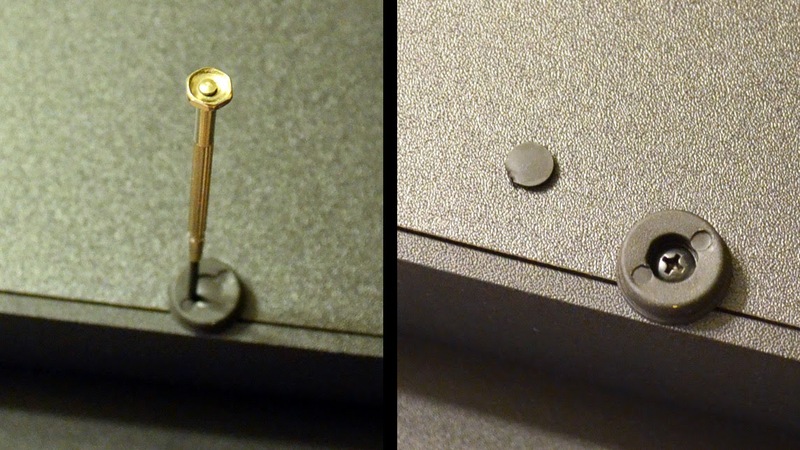 Switching out the joysticks in the Tankstick requires you to pull the little rubber nubs out from the center of each rubber foot, then unscrew the screw under each one. 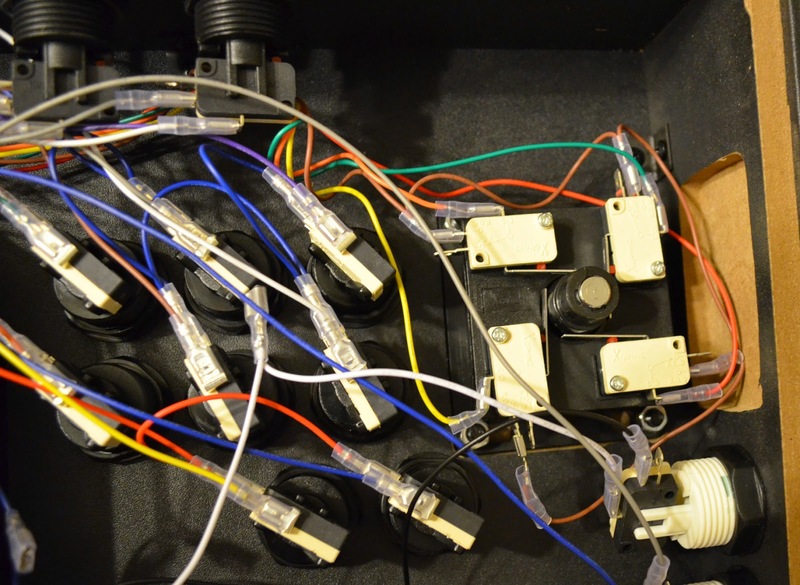 You can then access the interior, which may look like a rat’s nest of wires to the uninitiated, but it isn’t too hard to visually follow each wire. 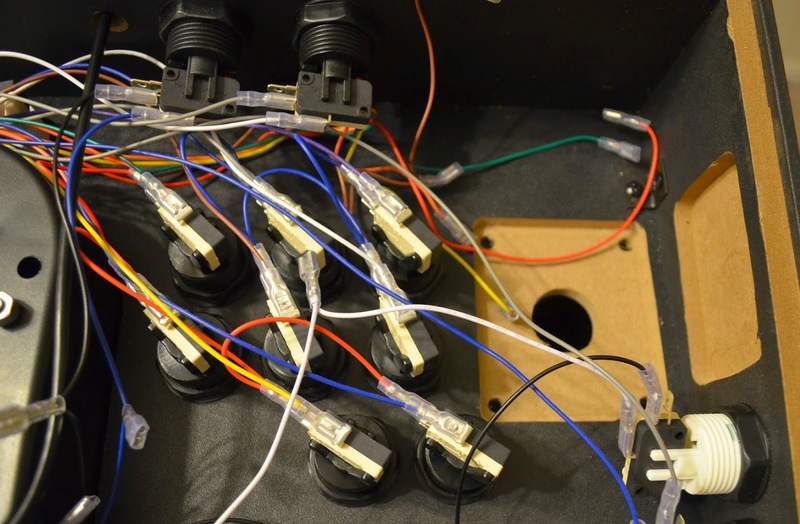 I took a photo of the interior for a reference of the color coding, then unclipped the leads, unscrewed the bolts, removed the spring clip at the base of the x-arcade joysticks, and removed them from the unit. The Happ sticks have the same hole pattern and are easy to drop into place. 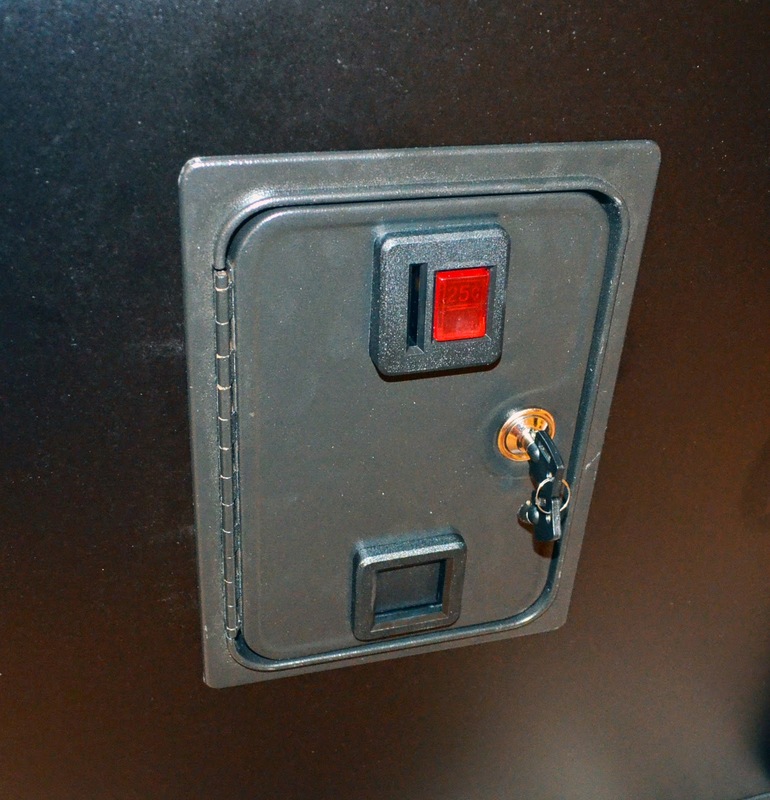 Another consideration while the joystick was open was wiring up the coin door on the unit so dropping a quarter in would actually register in-game. 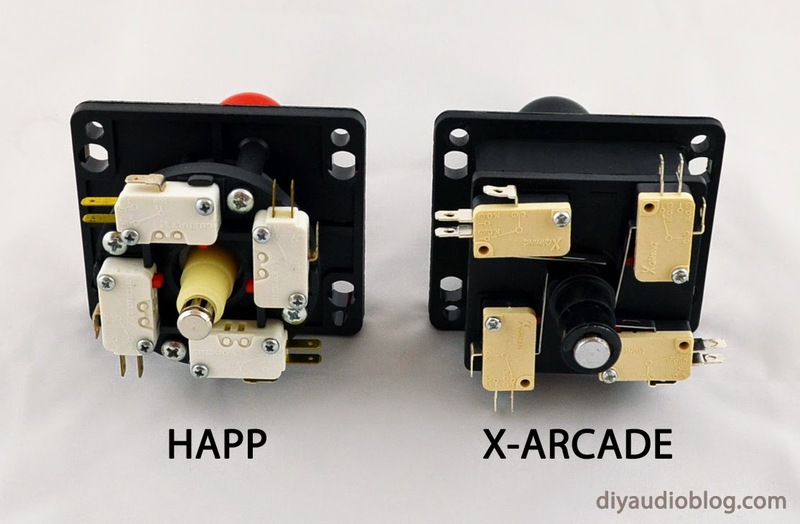 The Happ coin door from X-Arcade has a pair of leads that you wire up to one of the buttons within the joystick for that purpose. I decided I would be fancy and sleeve this lead with Techflex sleeving rather than leaving the white and green wire exposed. Now that the joystick was all set, I could concentrate on the Xtension cabinet. 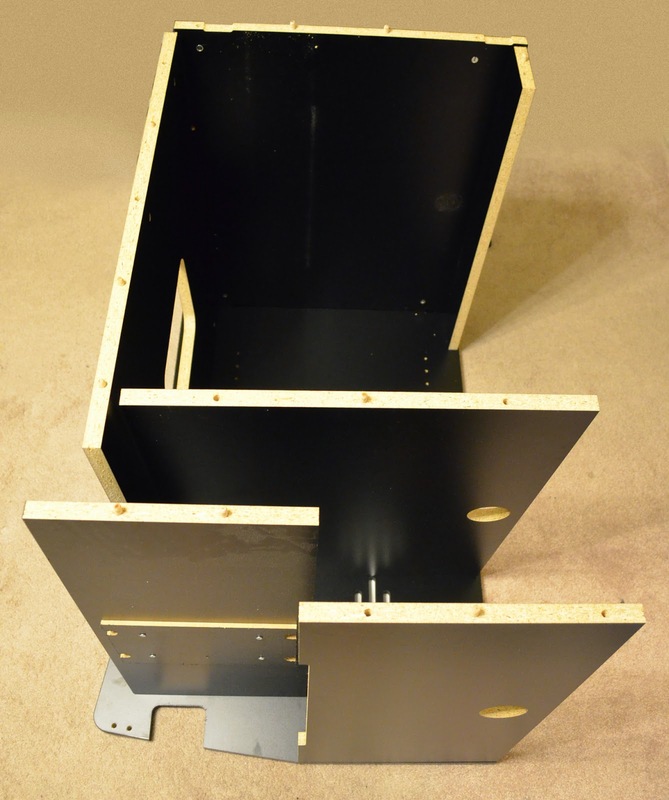 The Xtension cabinet comes in three relatively large boxes that have a good heft to them. If you’ve ever purchased set of shelves to assemble from a department store, that would give you a good idea of what to expect. Upon opening the boxes, everything was well packed with lots of foam and bubble wrap. Putting together the unit is largely like putting together furniture from Ikea, just follow the diagrams and put in the bolts, pegs, etc. While the directions could have been slightly more explicit in a couple of places, I’d give them a solid rating. Dropping in the Happ coin door didn't require much effort. Six metal pieces are screwed in place and that's all she wrote. The unit has an LED that lights up, this needs to be plugged into an electrical socket. One of the trickier parts of the build was getting everything situated in the small marquee area. I mounted a GE metal body light that was a bit less deep than the GE light that comes with the unit so I could allow room for a pair of speakers. The speakers are a pair of MarkAudio full range CHR-70 4” drivers, full range meaning that they’ll reproduce the whole frequency of sound. 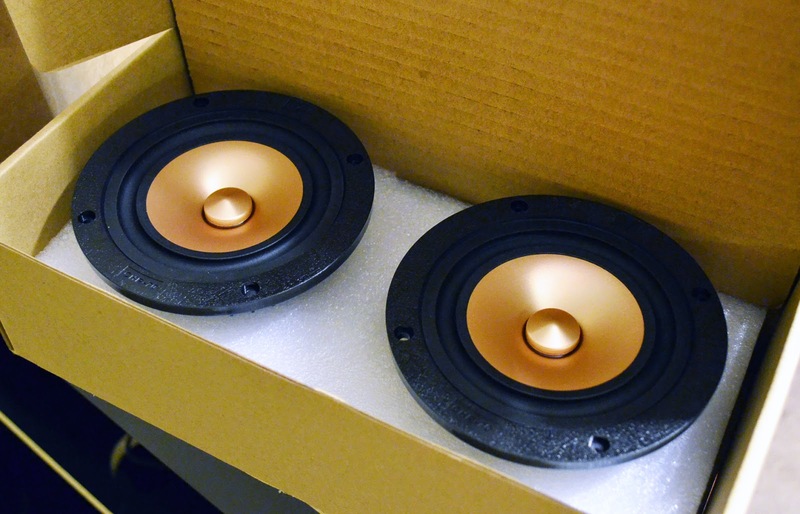 These are popular units in the DIY world, you’ll see them being used by Planet10 hifi and other full range enthusiasts. If you like the Fostex sound you’ll probably like these. I mounted the MarkAudios behind the routed holes in the board behind the marquee, dampened the board with Dynamat Xtreme, and then mounted a 4 pin XLR above the light and ran Kimber TCSS wiring from the speakers to it, that way it’s one quick, easy locking connection to attach a 4 pole speaker cable to the back rather than four binding posts... it's just a cleaner look with less fuss. Below is the rear of the marquis area with the four pin XLR connector and a handsome litz braid of Kimber TCSS wire. The wire is 19 gauge thick, which is is ample for the application. Once all these items were secured in place, getting the plexi and graphic to stay put as I closed the unit was a doozy. I ended up putting very small pieces of electrical tape on the top and bottom of the plexi glass to hold the pieces sandwiched together, then slowly slipped them into place. The tape is hidden by the routed wood area, so no worries there. The monitor was the last think I needed to situate before pulling everything together. RecRoom Masters recommends a 27” monitor that has screw holes facing the back and connectors that face downward for the sake of clearance. You could obviously use something else if you wanted, but you’d have to modify the board that it mounts to. 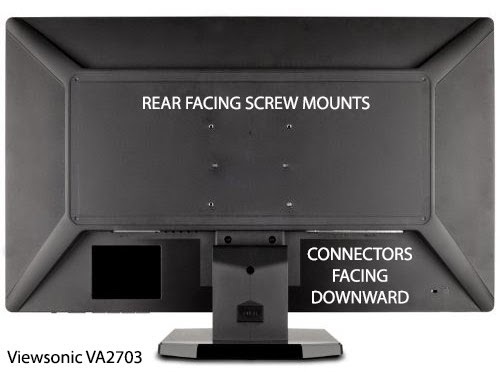 I chose a Viewsonic VA2703 monitor, it was the only one I could find that fit all the criteria. You can find these going for as low as $180 refurbished to $230 new, so not a tough investment. Once the top part of the cabinet has all the goodies in place, it can be a bit heavy. I’d recommend a second hand to help pick it up and put it in place, then do some final tightening of the bolts (but not too tight, they can cause the graphics to buckle). One everything is put together, you have ample cabinet space in the back to put a PC and whatever else you need. 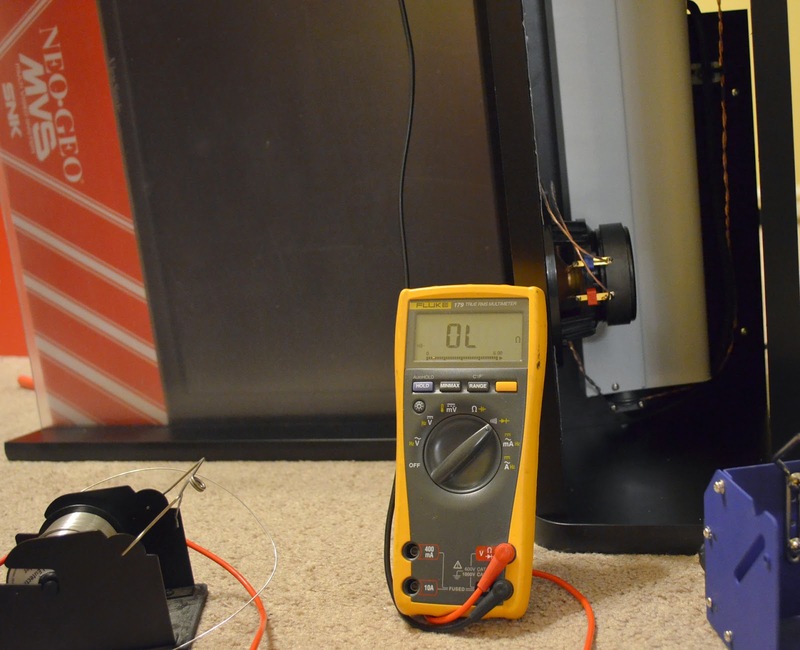 I added a little wifi antenna unit and my purpose-built Gainclone amplifier and USB DAC, who’s switches are easily accessible from the front of the unit when opening the coin door. 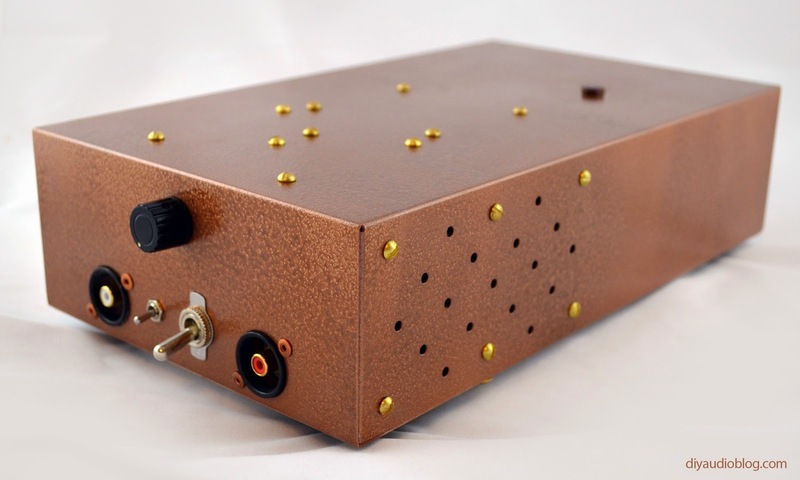 Below is my hand-built Gainclone amplifier from ChipAmp based on the LM3886. 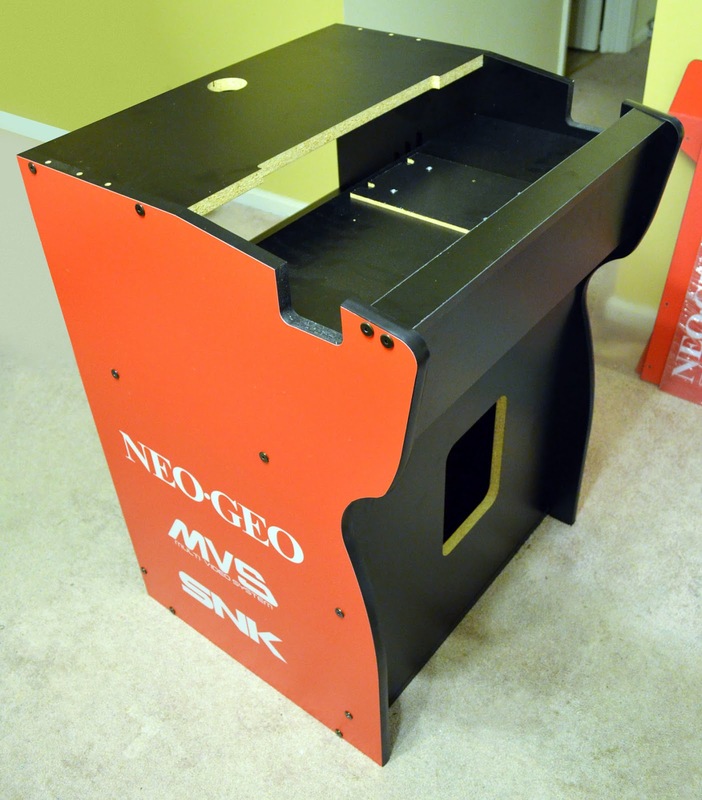 I built this nice and small specifically to go into the arcade cabinet. It puts out 68 watts which is more than ample for the 4" Mark Audio drivers. 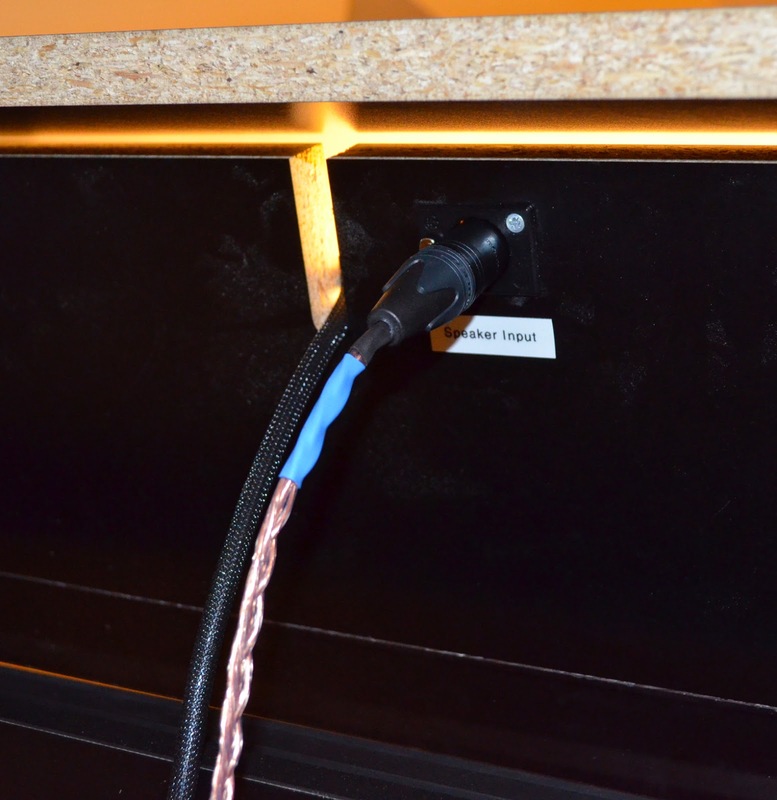 Within it is a USB DAC (the GrubDAC) which converts a USB digital signal to analog before the amplification stage. 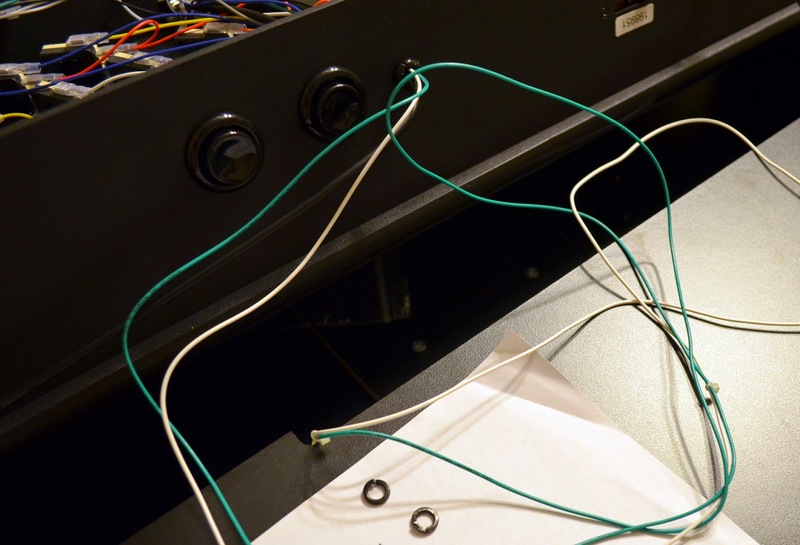 I installed a little switch and pair of RCAs so analog inputs could be used as well. To see more about this build, go here. The PC inside uses a small form factor case by Rosewell - The Legacy U3-B, with a low power Intel i3 so it doesn't generate too much heat. 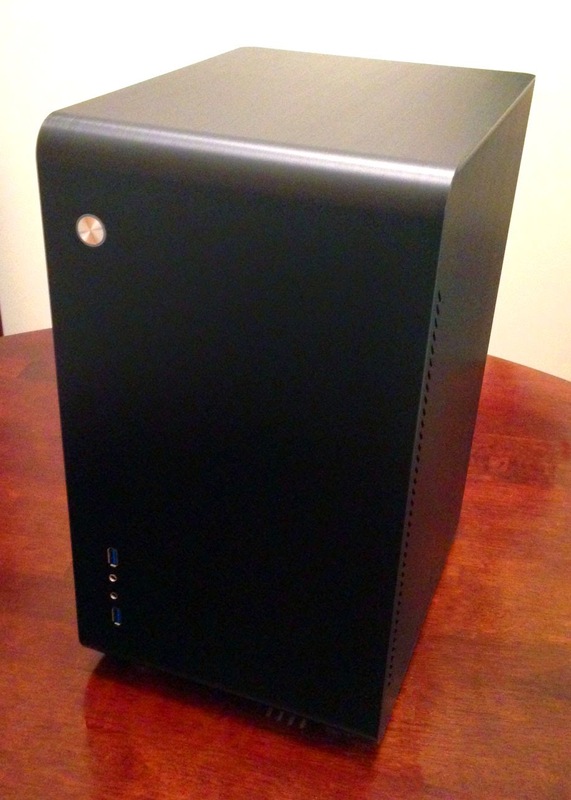 You can see more details on the case and PC here. 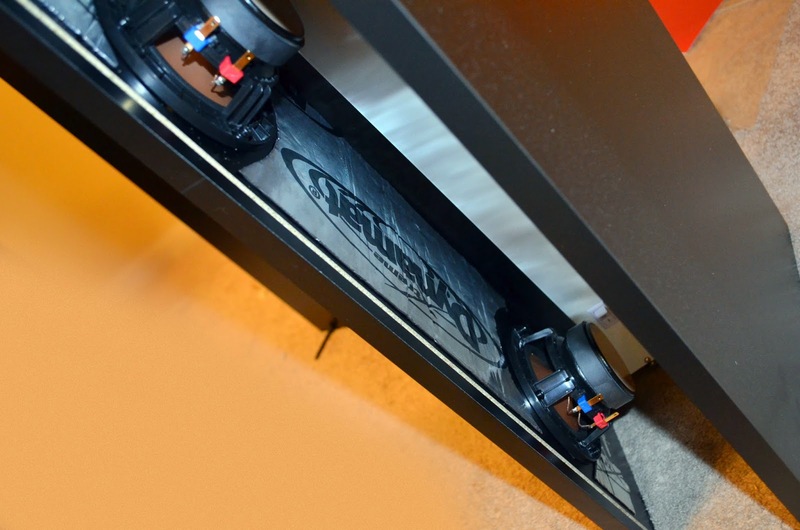 Below is the slide-out keyboard tray that holds a full-size keyboard and mouse. I chose a Corsair Raptor K30 which has the nice light-up red keys, and the mouse is a laptop wireless unit from Microsoft. You can actually control the cursor using the track-ball, but it's a little slow. For the cost, the Xtension is amazing. You’re not going to find a better product out there for the price. That being said, there are a couple of areas that you could make some tweaks or mild improvements if you wanted to put a little more money into the project. I picked up a longer 24” light for behind the marquee that was less deep to give more room for the speakers. 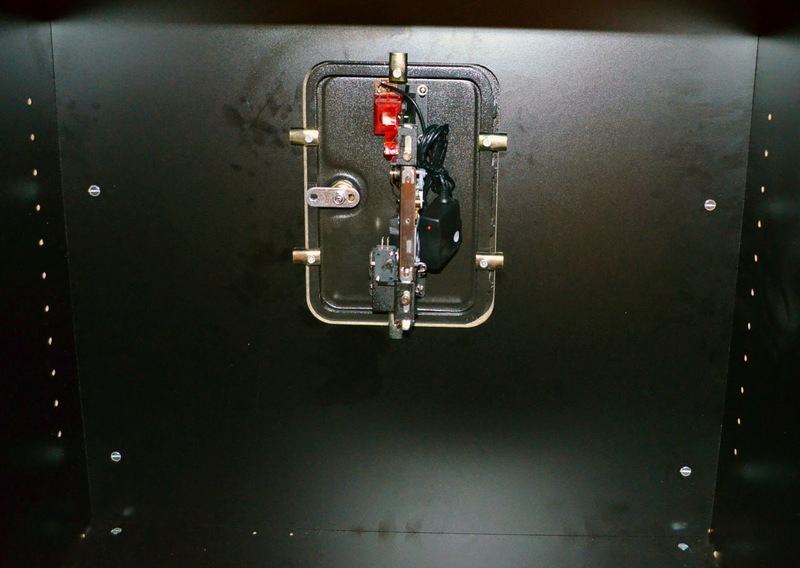 I also mounted a small black kitchen knob on the keyboard area, as it can be a little stubborn to open without one. Another thought is that you could mount a higher end drawer slide that extends a bit further for better access to the keyboard. 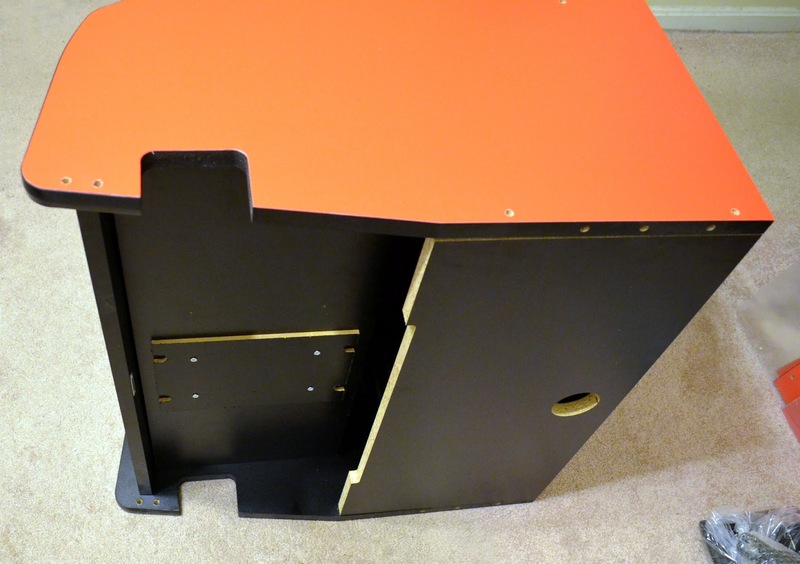 The Fine Print: The above steps detailing the building of an arcade cabinet are for entertainment purposes only, and should not be used as directions / instructions. The owner of this blog and all associated parties can not / will not be held responsible if you attempt the process posted and cause physical harm to yourself, your surroundings or your property. Zynsonix Audio does not have any affiliation with X-Arcade, Recroom Masters, or any of the other companies mentioned above. Hi Jester, I believe I do, let me know your email and I'll get them to you. 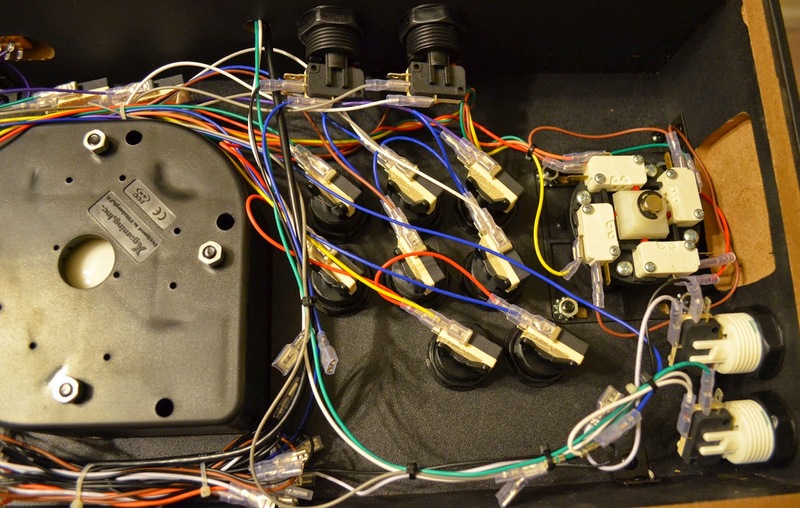 I also am trying to build this x tension arcade. Good Morning. 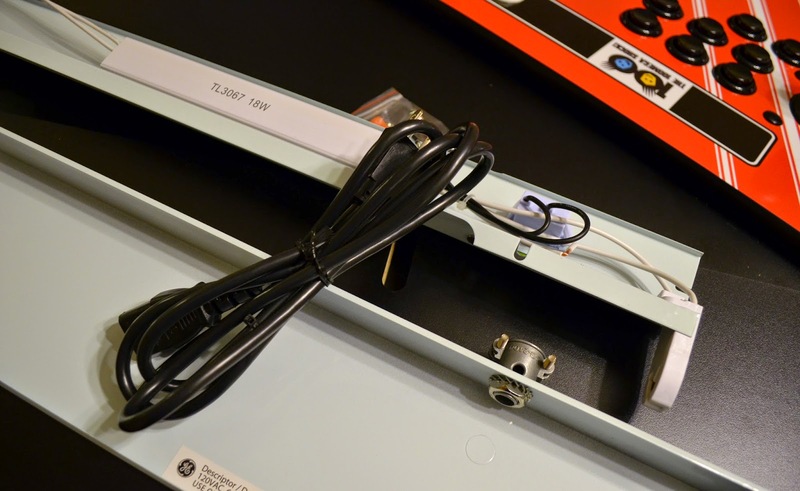 I wonder if you have to send the measures or the manual thatXtension Arcade Cabinet. I'm afraid I no longer have the manual. Did you try reaching out to rec-room masters for the dimensions?